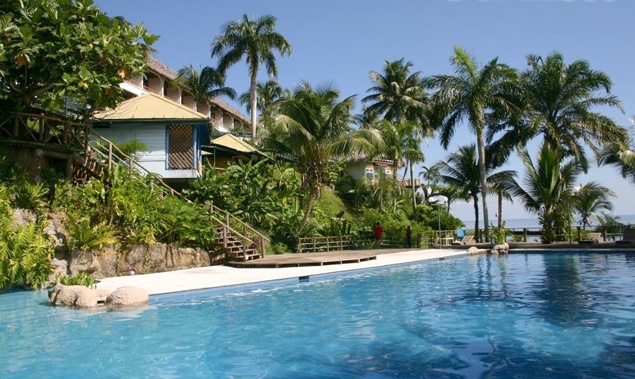 Surrounded by lush tropical forest, where a wide variety of sea birds inhabit, such as pelicans and seagulls, Villa Caribe Hotel is located in Livingston, Izabal, a colorful and relaxed fishermen village, where Rio Dulce and the Caribbean Sea merge; and home of the Garífuna Culture, rich in traditions of African origin. 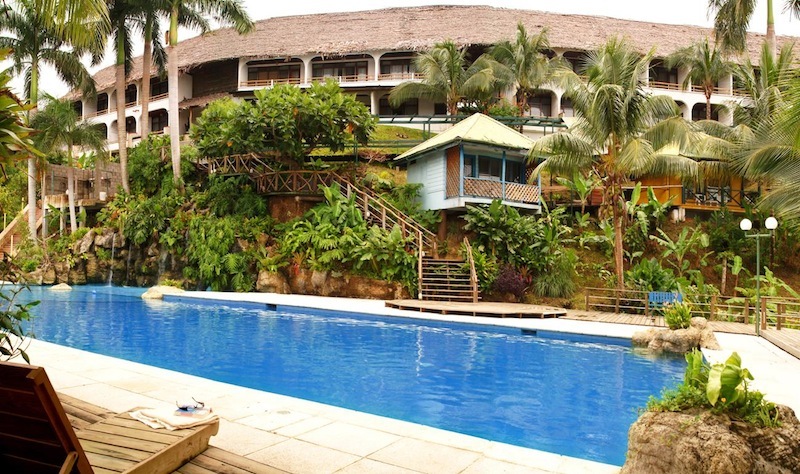 The 45 rooms at Villa Caribe Hotel in Guatemala are arranged in a 2 story building, sourrounded by beautiful gardens and magnificent views of the river and the sea. 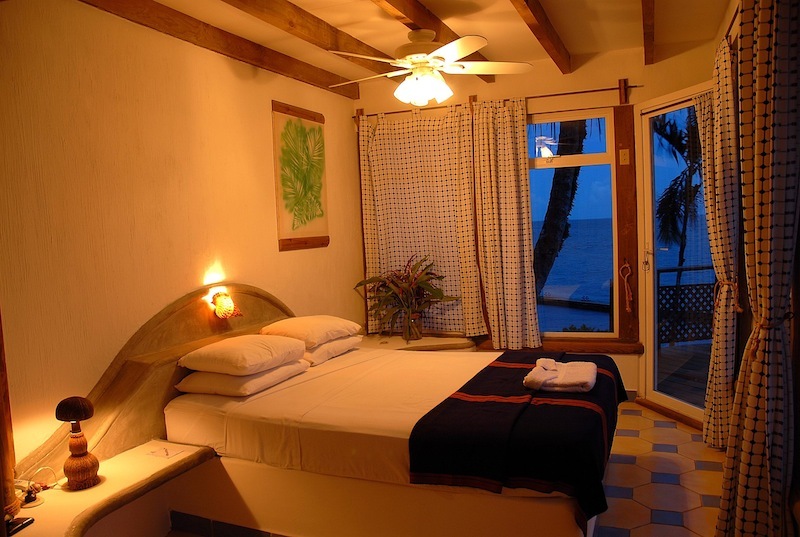 The rooms at VILLA CARIBE are arranged in a 2 story building, sourrounded by beautiful gardens and magnificent views of the river and the sea. 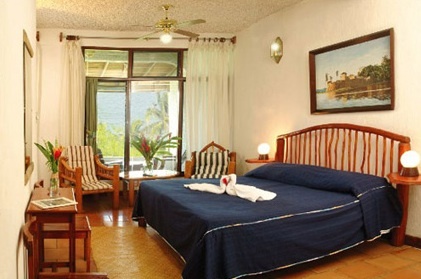 The hotel has 45 rooms: 40 standard rooms & 5 junior suites or bungalows. One of the most beautiful and diverse regions yet little visited of Guatemala, is the eastern region. 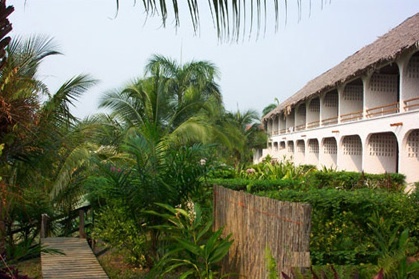 The Izabal department has many natural and cultural attractions within the most important is the Rio Dulce, Lake Izabal (the largest in the country), white-sand beaches such as Playa Blanca, Punta de Manabique and Playa la Graciosa. This is a region rich in cultural contrasts, with one of the most important archaeological sites Guatemala: Quirigua, famous for its beautiful stelae (the tallest in the Mayan World) and zoomorph figures. In addition, it is the cradle of the Garifuna culture (Garinagu or black Carib) which originated in the island of San Vicente, where African slaves mixed with the indigenous Carib and then migrated to the coasts of Belize, Honduras, Nicaragua and Guatemala, during the mid eighteenth century. 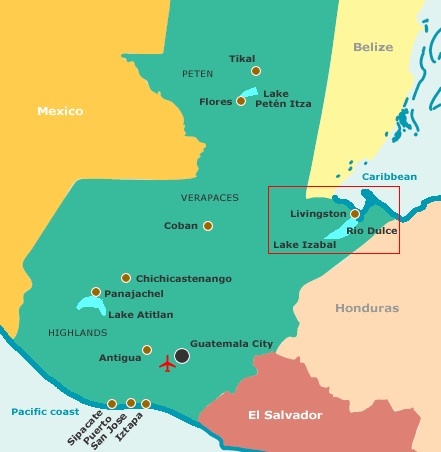 The highest concentration of the Garífuna in the country is in the colorful fishing village of Livingston, located 65 kilometers from the provincial capital, accessible only by sea. Livingston is famous for its unique cuisine and the traditional Garifuna music and dance.